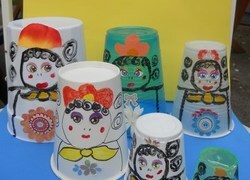 Collect some recyclable household objects and transform them into artwork with these year two recycled crafts projects. 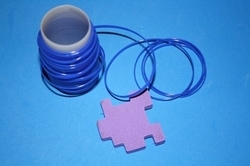 Tubes are a great shape for creating animals such as bats and snowmen. 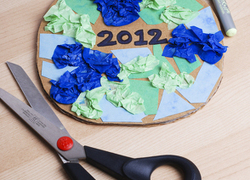 Kids can even make their own cookie cutters out of recyclable objects. 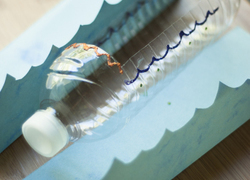 Through these projects you can identify recyclable objects so that kids can recognise them in the future. 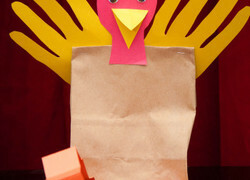 Get ready for leftovers with an adorable turkey lunch bag! 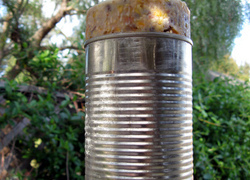 This recycled craft is a great way to remind everyone how much fun they had on Thanksgiving. Feed your birds from kitchen leftovers and give your first grader some excellent scientific practise in identifying our feathered friends. 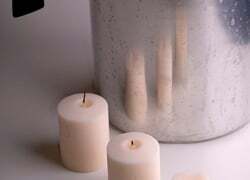 Making candles from old candles is easy. 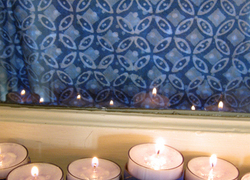 Recycle old candle stubs to make a "new" candle, and teach your child about recycling at the same time! Bring the fun of a day at the beach to her very own bathtub! 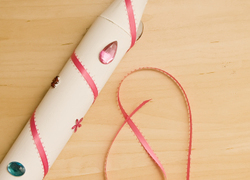 Show your first grader how to craft a catamaran for two of her beloved dolls. 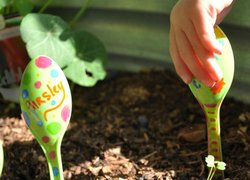 This fun, summery arts and crafts activity is a great project to do with your child. 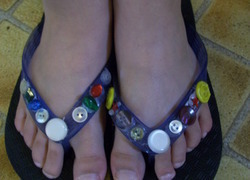 She'll express her creativity while she revamps some old flip flops. 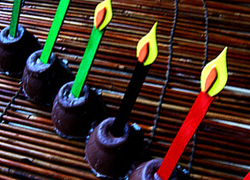 Homemade Christmas crackers add some bang to your holiday celebration. 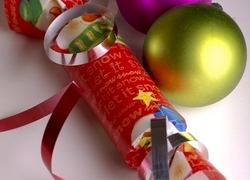 Make a set of homemade Christmas crackers with your child this holiday season. Everyone loves homemade cookies, but have you ever thought about making the cookie cutters at home? 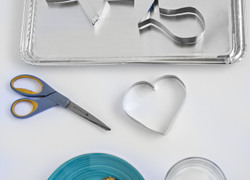 Here's some instructions for making homemade cookie cutters. 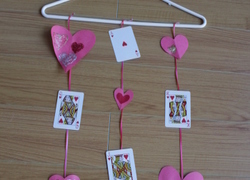 Using just a deck of old playing cards and some general craft supplies, you can create a unique and fun Valentine's Day decoration that's made with love. 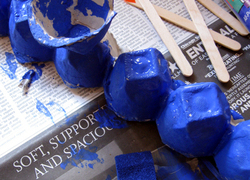 Turn leftover puzzle pieces into a one-of-a-kind necklace that's sure to brighten any outfit. 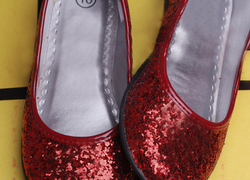 Spruce up some sneakers that have seen better days by turning them into a sparkly dress-up staple. 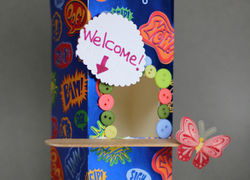 This recycled craft makes a great addition to the dress-up box and is a two-in-one activity and party favor for princess-themed birthday parties. Nothing says party like a bright and bursting piÃata! 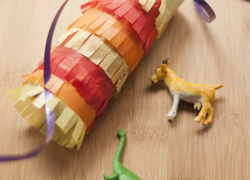 Create your own mini festive centerpiece with paper towel rolls and ribbons. 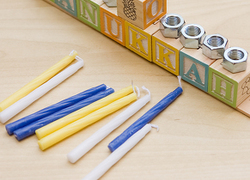 Even your first grader can get involved in the lighting of the Kwanzaa Kinara with this clever flameless Kinara project! 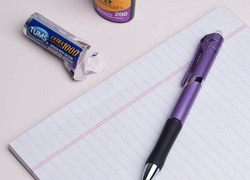 Help your child keep track of his pledges to be more environmentally friendly with a calendar made entirely out of recycled and reused materials! 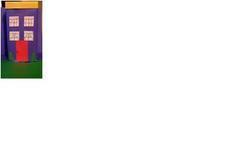 The 100th day of school is an important benchmark for kids in the lower elementary grades. 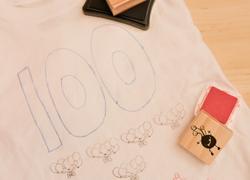 Help your kid create a 100 days of school shirt to celebrate! 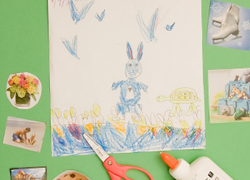 Celebrate the 100th Day of School by making a collage frame that can showcase your childâs favorite piece of art. 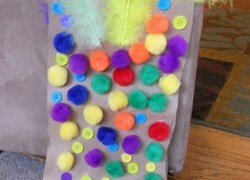 Make the 100th day celebration extra special by creating your own 100th Day of School Top Hat.